It’s actually my mum’s story though she didn’t tell my sister and I until years later . 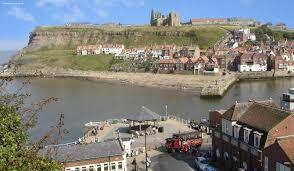 When I was 12 and my sister was 15, we went to Whitby in north Yorkshire on holiday with mum and dad. We stayed in an old fisherman’s cottage. It was several hundred years old and it had 3 floors. My sister and I had the attic bedroom which had three single beds in it. In between our beds there was a big old dressing table with a large mirror. It was a lovely old cottage and I used to play in the tiny box room on the second floor as there were old bits of toys In there. Yes, I was 12, but back then kids of that age still played with toys! It always smelt of ghosts to me. That old musty smell and it always creeped me out a little as if somebody was watching me. My sister did not like our attic room. She was terrified of that mirror and would never look in it. On the fifth day, my sister must have told mum she was scared because my mum ended up sleeping in the third little bed in the room. I don’t remember thinking much about it at the time. The next morning my mum wanted to pack up and go home. We didn’t know why because we had three days left and didn’t want to go. She didn’t say anything and we stayed. Years later she told us the reason why she wanted to leave. She was in bed facing the wall and she felt the covers being lifted and the bed go down. She thought that one us had got into bed with her. She turned over and the mattress bounced up again and the covers flapped back down. She screamed and jumped out of bed. I don’t remember this but I do remember having a bad dream that night. Anyway, she said it was just like a small child snuggling into her back. She was terrified and we all moaned because we didn’t want to go home early and she had to spend another three nights in that room. Nothing else happened after that but a lot of children had come and gone in that house and mortality was quite high back then. The old graveyard is full of graves of children that died so young so I think some poor little child just wanted to snuggle with a mum.